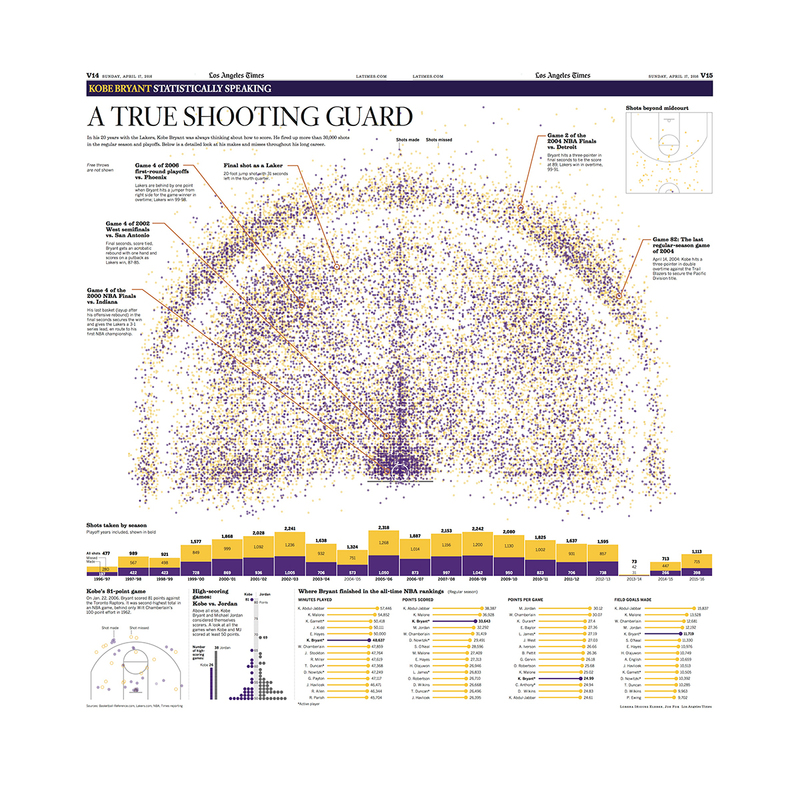 Authentic commemorative 2-page spread of an editorial graphic made up of every shot Kobe Bryant made while in a Lakers' uniform. This page is featured in the Los Angeles Times special section on 04/17/2016. 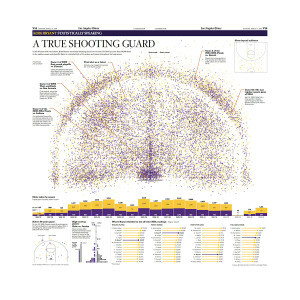 Produced in The Times pressroom and printed on broadsheet poster paper. Suitable for framing, print size is 20x24.